Jason – I have always had weight problems, but from the late 1990’s to 2006 I was in the best shape of my life thanks to going to the gym every day. When we started our family in 2007, the trips to the gym quickly took a backseat to being a parent and my weight quickly climbed and plateaued with very little variation for the next 5 years. I have always tried to eat healthy and have kept a food journal for close to 10 years but that did not get me to my goal weight. As a father of two young children, it bothered me to be overweight, but I did nothing to change my status; rather I was falling prey to the last minute bad food decisions. One day my wife came home from a soccer game and told me we were signing up for the Biggest Winner Contest……..
Amanda – Sitting at my daughter’s soccer game last fall, I casually mentioned to another mom that I had just started another diet in hopes of losing some of the extra weight I had gained over the past few years. In fact, it was at least the 12th time that I tried starting a diet this year. Well it just so happened that this particular mom was an Inspirational Life client who described her previous success with the program and mentioned that Inspirational Life was holding a Biggest Winner contest. I agreed that it would be a good option for me although I was very apprehensive since I hadn’t taken a class at a gym in about 25 years and felt very self-conscious. While driving home I thought about the struggles I’ve had with weight since childhood, the numerous attempts of trying to lose weight, my failure to add any regular exercise to my life, and what my health and quality of life would be like in 10 to 30 years if I didn’t make a lifestyle change. I also wanted to be able to go hiking and participate in physical activities with my kids without getting out of breath or aching all over. 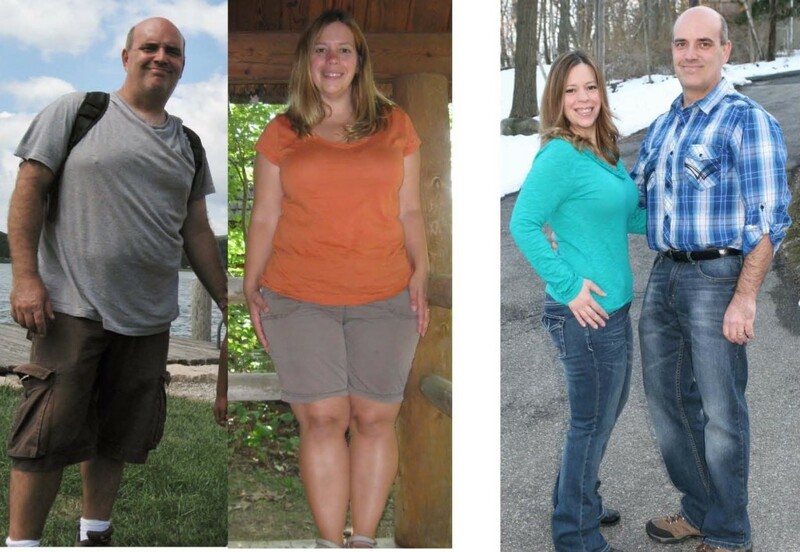 By the time I got home, I was committed to making a lifestyle transformation and the only thing left to do was to convince my husband Jason to join me on my journey. Inspirational Life not only provides excellent workouts, but Brian, Cathie and the entire Inspirational family motivate us to keep coming back each day. While both of us have utilized diet plans in the past, Inspirational Life’s program has by far been the most effective in helping us to establish a regular routine that includes daily exercise and healthy eating. Even when there is a room full of people at 5:15 a.m., Brian and Cathie always manage to provide individual attention and support to their clients. Whether it is following-up on individual weight loss results, emailing us to see how we are feeling, coaching us on the correct techniques or weights to use to reduce injury and maximize our workout, or sending us healthy and tasty recipes, Brian and Cathie are always full of energy and new challenges. No two boot camp workouts are ever the same and challenge us in different ways; there is no chance of boredom here! Our personal favorites are prayer circles, three quarter squats, and tire step-ups. In addition, Inspire Fitness fosters a supportive and safe environment where everyone shares recipes and where to find the best local deals on healthy food. Any fears that I (Amanda) had about going to the gym were quickly alleviated by the supportive environment that they offer. Aside from the typical effects of losing weight like feeling/ looking better, clothes fitting, we have never been healthier or more focused on our health. In our everyday life we have less stress. I (Jason) find that if I do the 5:15am boot camp I feel energized throughout the day and if I do the 6:30pm boot camp it relaxes me while it provides both of us more energy and stamina at all times. I (Amanda) find that I can sleep better as a result of less stress and improved circulation. I no longer wake up in the middle of the night unable to sleep and wanting a snack. This whole journey has done many things for us individually as well as a family. We do more physical activities with our kids and the walk around our block that has large steep hills no longer leaves us winded. We have turned our weekly food prep into a family project that our kids look forward to and enjoy. Our 3 year old son is in charge of making our Steel Cut Oatmeal and 1 ingredient (banana) ice cream for the week.